Hey Laurir, yes you can use milk, it just might not be as creamy, but it'll still be delicious. 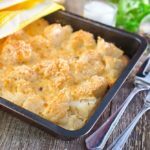 CHEDDAR CHEESE Cauliflower Casserole is delicious comfort food! This easy to make loaded casserole recipe is made with cheddar cheese and Parmesan cheese to make it extra cheesy! It makes a great vegetarian main dish or holiday side dish. Ok, we have the 3 C’s here. Let’s talk about them. Cheesy – who doesn’t love cheesy dishes (hello Cheesy Scalloped Potatoes!)? Mozzarella, Cheddar and Parmesan are my favorites for recipes. And this recipe has 2 of them in! Cauliflower – beautiful cauliflower, fresh from the garden, I love you. You can’t go wrong with cauliflower, you just can’t! Casserole – I love casseroles. You put them inside the oven and magic happens. That’s the only way I can describe it. We love this casserole, especially when we can pick the cauliflower straight from the garden. We usually have it as our dinner main dish because it’s pretty filling, especially if you add a piece of crusty bread on the side. You can also serve the casserole a side dish, it would be great paired with a meat at the holiday table. Update: This recipe now has a video to go along with it! If you like the recipe please share on Facebook! DOUBLE CHEESE Cauliflower Casserole is delicious comfort food! This easy to make loaded casserole recipe is made with cheddar cheese and Parmesan cheese to make it extra cheesy! It makes a great vegetarian main dish or holiday side dish. Add cauliflower into casserole baking dish. In a bowl stir together your Cheddar cheese, 1/4 cup Parmesan cheese, heavy cream, dried sage, minced garlic, salt and pepper. Sprinkle remaining 2 tablespoons Parmesan cheese and bread crumbs on top. You crack me up! I want to try this on my siblings – time to rule the dinner table, huh? 🙂 Looks uh-mazing. You weren’t kidding about casseroles, they are simply the best: hands down. Pinned! I absolutely love cauliflower and the kids will eat it when it’s covered in cheese! Pinning! Thanks Cathy, hope you all enjoy it! oh my word! That creamy sauce looks amazing. I usually puree my cauliflower and add garlic and cheese as a stand in for mashed potatoes. Love that photo with the light on the walls! Yum those mashed potatoes sound delicious! I JUST bought a big head of cauliflower yesterday at the store and you JUST made my day because now I know what to do with it. 🙂 YUM! Enjoy Madison, it’s cauliflower cheesy goodness! I have a vegan cheesey casserole recipe that I make every fall, usually using a combo of cauliflower, broccoli, and whatever else I have. I haven’t used sage in it yet, but that sounds delicious! This looks amazing! If only I could eat cheese and gluten GAHHH. I made a dairy and gluten-free version of a cauliflower casserole on the blog last week but even though it tasted good I have a feeling yours would taste much much better!!! Hi Davida, I’m sure yours was delicious! Have a great Monday! Cauliflower might be one of my favorite vegetables and cheese, I can’t say no to. Love this dish. 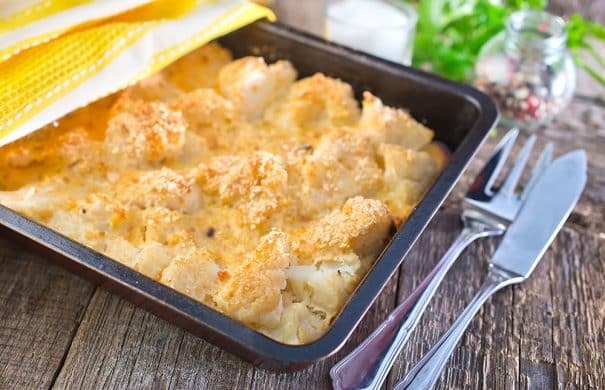 Mmmmm.. love cauliflower and cheese and yes casserole’s too!! This sounds wonderful. I am pretty sure the 3 C’s is a new way to live life! I love cauliflower and this is as good as mac & cheese. Some bread would be perfect with it. Boy! This truly has it all. I love these three C’s, this recipe looks like a winner! Thank you! Me too, the 3 C’s are so comforting! Oh, this looks so crazy amazing! That cheese sauce is to do for! Looks delicious this cauliflower…and yes, I love the creamy sauce…yum! Thanks Juliana! Same to you, have a great one! I love cauliflower ! This looks like a dish that I would gobble up all by myself. I am going to try this out and hopefully this weekend during labor day where I can just veg out on this! I could easily eat all of this too Abby! Let me know how you like it, enjoy! 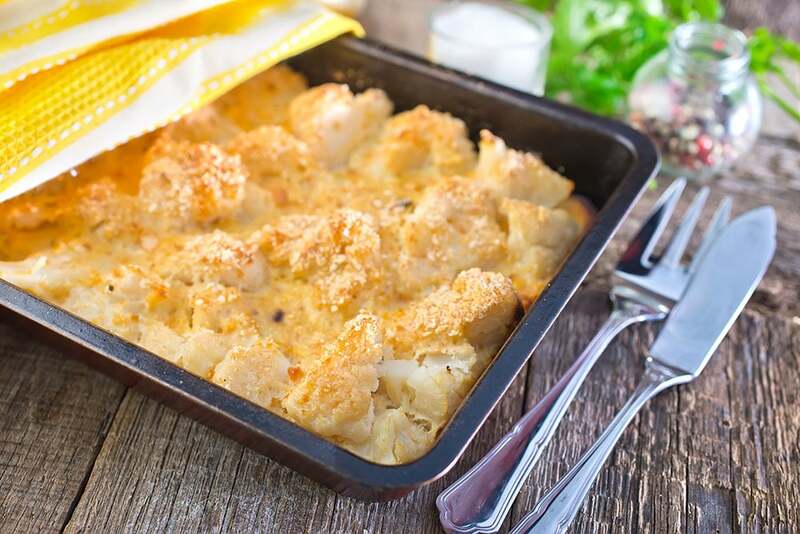 I love cauliflower and casseroles…and yes, cheese too, of course. This looks so yummy and satisfying. Perfect comfort food! It sure is a comforting meal! Thanks Jaclyn! This looks amazing! I love cauliflower, so going to make this for our next family dinner. Enjoy Laura! Hope and your family have a great dinner! My family adores cauliflower! I usually just roast the cauliflower with olive oil and salt and pepper. This scrumptious recipe with lots of cheese would make them very happy indeed! I can’t pass up a cheesy casserole and this one looks fabulous!! 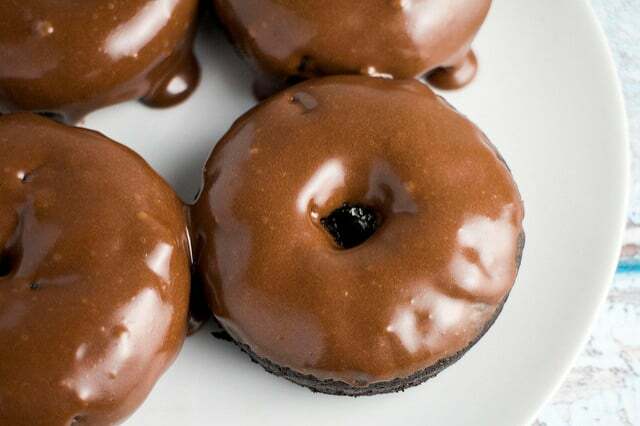 Mmmmmm this looks soo good. I don’t even eat that much dairy but cauliflower and cheese is just an irresistible match made in heaven. Yum! Oh, yeah. This is pure comfort food!!! Love the addition of sage…well, I love everything about this dish! Oh heck yes. I love cauliflower and cheese anything! So bummed I already had dinner tonight. Well, we will be devouring this very soon! Hope you enjoy Nora! Don’t you just cauliflower and cheese together? 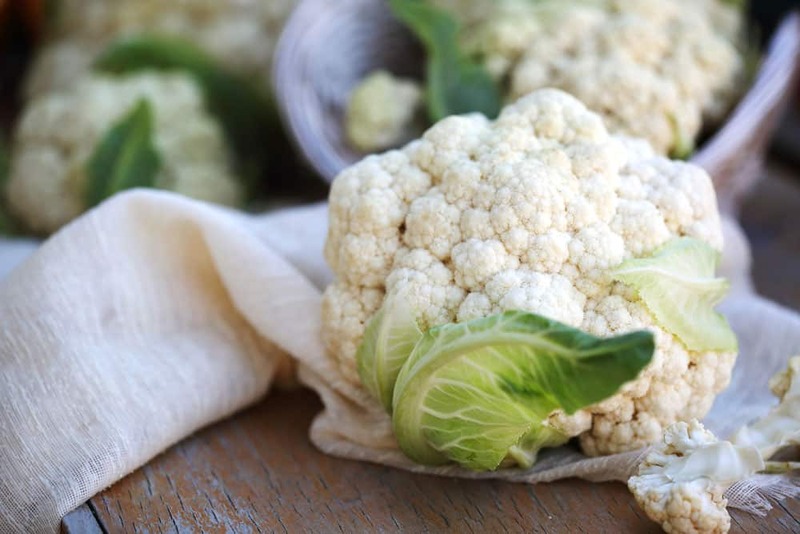 Lovely photography and cauliflower recipe! This looks wickedly delicious! One of my family’s old recipes is a cheesy cauliflower casserole somewhat similar to this and it is always devoured. Always. And now you’ve got me craving cheesy cauliflower! I love cheesy casseroles too! I would have never thought of using cauliflower in it. Such a great idea Pamela. Thanks for the recipe and have a great week! I am totally down with eating this as a main meal. Especially since there’s no way I’d be able to stop at a side dish sized portion! Yum! Wow…this looks so good. That second picture where the cheese is oozing all over the plate with the golden cauliflower flourette? Be still my heart! Hahaha, I know! It causes joy to my heart too! This will be one of those cozy comforting casseroles on a cold winter’s night. Delish! Have you tried vegan cheeze or Parmela vegan parmesan before? As for cauliflower, I love cauliflowers! So good as mashed potatoes, sauce, creamy pasta, etc. everything! I love casseroles, too especially baked with panko/breadcrumbs. I love cauliflower too! Now I’m also hungry for mashed potatoes and creamy pasta! YUM! Pinning this because I think my very picky vegetarian daughter will eat this. She doesn’t like many vegetables because she has texture issues with many of them, but she likes cauliflower. Good luck and I hope she enjoys it! Okay this is my new favorite way to eat cauliflower. Pinned! Made this tonight! It was delish!! Comfort food! Gotta stock up on these recipes for the up and coming chilly months. That lightplay on the wall is glorious. Thanks Irina! Casseroles are my favorite for the chilly months! mmm mmm looks like something that’s going to be hitting our table soon. 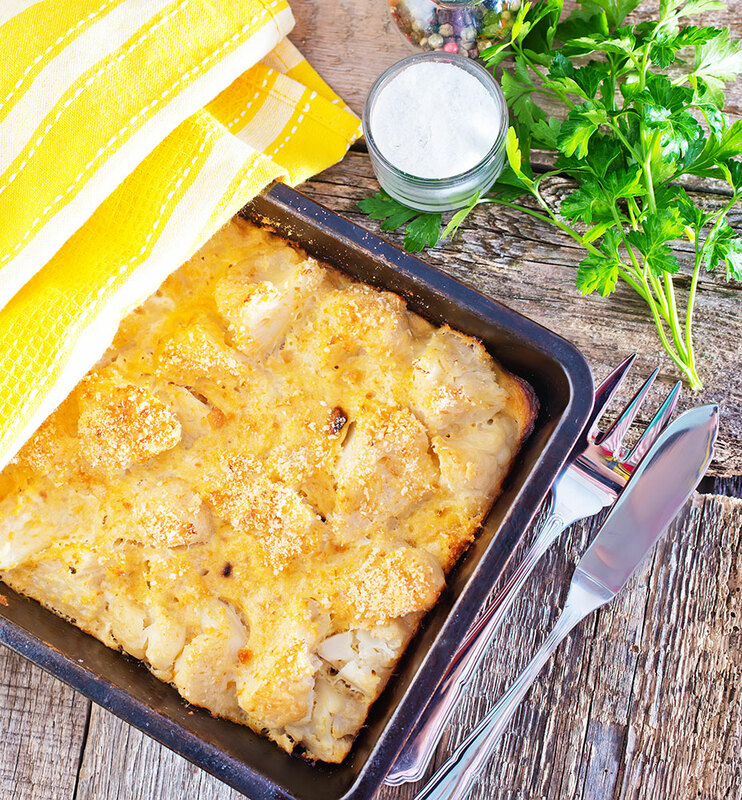 My husband isn’t a big fan of cauliflower but I think even he would love this cheesy casserole! YUM. I hope you both enjoy Pam! *Sigh*. Cheese. Isn’t it just great? I’m an all cauliflower girl. I love it raw, cooked, roasted, pureed, in soups, in soufflés, in casseroles and with cheese. Heaven. Thanks for all your inspiring fresh recipes! Thanks Hani! Cauliflower is hands down one of our favorites too! Mmmm cheesy. But it has cauliflower so it’s good for you, right? 😉 Great recipe! Hahahaha, that’s what I tell myself! 😉 Thanks Kammie! I did 350 and for about 40 minutes – it was delicious and my 18 month old ate it too. Always a bonus when the kid eats it! So glad to hear, and thanks for letting me know you enjoyed it! Thanks for stopping by Wendy! Thank you so much! I made this tonight, and it was amazing. This is the easiest gratin recipe on line and does not require flour. Next time I will try it with some Gruyere and Parmesan cheese. I put the cream and cheese back in the pot the cauliflower cooked in to melt the cheese a little bit before baking. Keep the recipes coming, Brooklyn. This looks so good! I love anything with cheese. LOL. Pinning so I can give it a try! I so pinned this! It sounds amazing!! I make this but I add cream corn to it as well. This looks yummy! Love the pictures. Low carb and so so cheesy! Yum, Pamela! I’ve tried this was marinara but never cheese… pinning to give it a go soon! I’m visiting from Too Cute Tuesday. I love cauliflower and this recipe looks perfect for our weather at the moment we are heading into winter! Thanks for sharing at #overthemoon link party, I’ve pinned and shared. Thank you for sharing at Moonlight & Mason Jars link party. I love cauliflower and am always looking for a new way to serve it. This looks fantastic. I can’t wait to try it. Shared and pinned. It looks delicious and has to be better for you than pasta. Thank you for sharing with us this week at Celebrate Your Story, and I hope your week is going great. That actually looks pretty good! I would love to give it at try! I love this recipe, it looks delicious and it would fit into my low carb lifestyle. Awesome. My daughter is a cauliflower fan and I never made any. This is a dish I can make her. Yum! This looks delicious and a great way to prepare our homegrown cauliflower! Thank you for sharing with us on the Art of Home-Making Mondays at Strangers & Pilgrims on Earth! My kids keep complaining about cauliflower, but I love it. This looks like a dish that might actually win them over. Thanks so much for sharing at the #happynowlinkup! I love adding cauliflower to casseroles as a low carb option. Your recipe looks sooo delicious with all that cheese! And the crunchy topping! This looks amazing! I’m definitely adding this to next week’s meal plan. This looks delicious! I saw your photo in the Simple Life Blog Hop and had to check it out. I’m going to pin and try it soon. Cauliflower is so good for you! P.S. I don’t think it’s possible to grow too many pumpkins! This looks so tasty! I could just try some. Thanks for sharing at Creative Mondays last week, you are one of my features this week. Congratulations. This popular dish made the most clicked on the Blogger’s Pit Stop. Be looking for a feature on Friday. This actually looks really good! I have not always liked cauliflower as much unless it has stuff on it but this sounds amazing with cheese all over it. I will have to try!! Thanks for sharing at the Friday at the Fire Station link-up! Hey Laurir, yes you can use milk, it just might not be as creamy, but it’ll still be delicious.